The Union Minister of State for AYUSH (Independent Charge), Shri Shripad Yesso Naik has said that the Government of India is doing everything possible to promote research in various departments of Homoeopathy and encourage new researchers to make India the leader in Research arena of Homoeopathy. Shri Naik was the Chief Guest at a three day International Homoeopathic Conference organized by Karnataka Qualified Homoeopathic Doctor’s Association (KQHDA) in Bengaluru from 8-10 September, 2017. An International Homoeopathic conference was organized for the first time in Bengaluru. 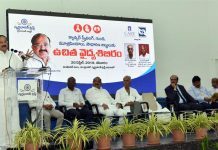 “My Ministry lays highest importance to research in homeopathy and have established Central Council for Research in Homeopathy, a pioneer research organization for carrying out high quality research in all aspects of Homeopathy that includes clinical research, drug standardization and basic research. I am happy to share that this Council is also spreading its wings to collaborate with reputed international and national institutes for undertaking valuable researches in homeopathy such as exploration of homeopathy as most modern Nano-medicine; defining its role in emerging epidemics. 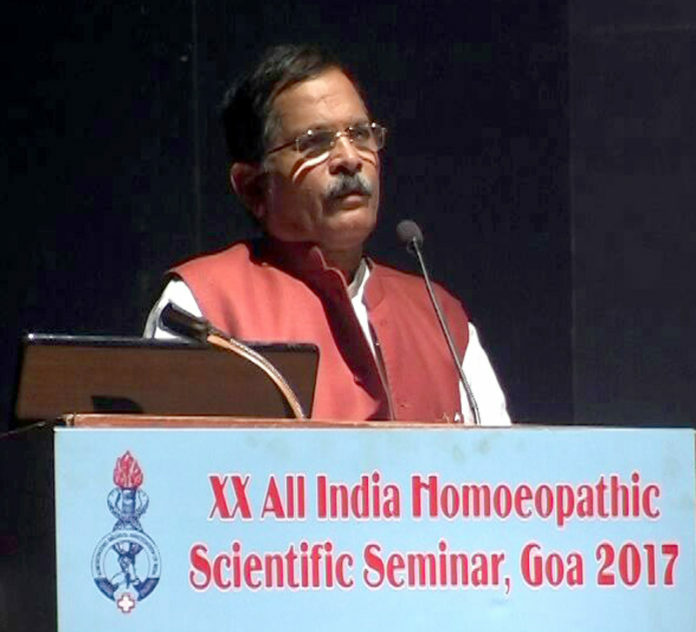 We are inculcating research aptitude in students through specially designed schemes of scholarship in addition to capacity building of homeopathic colleges”, Shri Shripad Naik saif while addressing the participants yesterday. The AYUSH Minister congratulated all the members of KQHDA for completing 25 years of their untiring and uninterrupted service to the Homeopathic fraternity. Dr. Praveen Kumar, Vice Chairman of the conference welcomed all the dignitaries and the delegates. Chairman of the conference Prof. Dr B D Patel expressed the need for all the diverse schools of Homoeopathy to work towards common goal, which is ‘to serve humanity’. Complimenting Prime Minister Narendra Modi’s statement of ‘Sab Ka Saath Sab Ka Vikas’, he gave a slogan ‘Sab ka Swasthya, homoeopathy ke saath’. The conference was inaugurated by Shri K R Ramesh Kumar, Minister for Health and Family welfare, Government of Karnataka. The Minister said that the state government will be opening up AYUSH Clinics including homoeopathic centres in as many as 176 taluks. Dr. Rajkumar Manchanda, Director General, Central Council of Research in Homoeopathy inaugurated the scientific session. Many great contributors to the field of Homeopathy were awarded in the conference. Dr. Rameshwar Rao aru was specially awarded in the category.